3 Stylish ways to wear jeans, one of the more democratic and versatile wardrobe essentials, creating different looks, with the benefit you can use them in any season. If your work does not require a very formal dress code, you can even wear your jeans to work, being the most ideal the dark shade jeans, combined with a leather jacket and ankle boots. 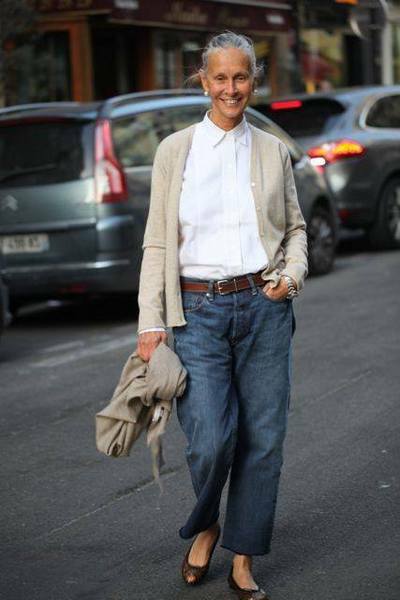 And just with your jeans, you can make different looks, alternating with other equally versatile pieces such as the white shirt, a cashmere sweater, a leather jacket, the trench coat, the wrap coat and capes and ponchos. For those days of little inspiration, as you don’t know what to wear or you are late for work, nothing better than a pair of blue jeans, a turtleneck sweater, a wrap coat and ankle boots. Just dress and go out in an elegant look. You can also wear with jean, a white shirt (a basic and essential piece), a faux fur vest (very fashionable this Fall Winter 2015-2016) and boots. Jeans, loop blouse, blazer, putting over it a belt to better define the waist, and give a more cool air, and finalising with boots. Regarding fashion accessories, at the time to dress up use your creativity, taking into account your personal style, personality and body type. Hello! I started bemvestir on May/2011, a blog dedicated to fashion & Style. The styles presented serve to inspire, help and show you what is best in fashion and how to combine colors and textures. Everything shared to you, with love and positive energy.